Please take a look at the C'MUN 2014 topic of debate at ISSUES & RESEARCH, and COUNTRIES & DELEGATIONS sections to select the country/ies you would like to simulate; then, send us the complete application form that you will find at the HOW TO APPLY section. The registration fee for C'MUN 2014 is 100 EUROS (each delegate). Special discount for UNA-Spain members: 60 euros (each delegate). C'MUN 2014 is over! Thank you very much to all participants!! You can join our simulation individually, in couples (2 delegates representing the same country in a commission) or in a delegation/group (representing a country in all the commissions where it is available, individually or in couples in each commission). 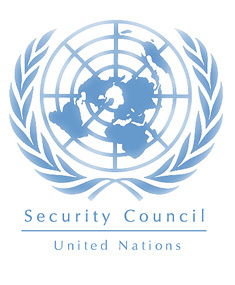 This year, countries at the Security Council can be only represented individually. You CANNOT represent your home country. Press Team Info & App. If you are a group/delegation, one member of the group has to be the coordinator. The coordinator should be our contact person, and therefore responsible of sending us the delegation form with all members of the delegation, and the individual forms of each one of the members of your delegation. Remember that the deadline for applications EXTENDED TO MARCH 19th. 2) You will receive an e-mail confirming or not your participation in 1-3 days. If not stated otherwise in that answer, we will take into consideration the preferences shown in your application for your assignment, pending on the payment of the fee (see next point). 3) Once your participation have been accepted, you must make the payment of the fee to the bank account shown below in 15 days maximum. Send an email to us as soon as you have paid (the sooner you make the payment the fastest we can make your assignment, increasing the chances of assign you to one of your preferences). Once the payment is received, we will answer you again (up to 3 days) confirming it and giving your C’MUN assignment. Not receiving the payment or/and any kind of information in the aforementioned period of 15 days will mean your application will be cancelled. You can always begin the application process again. 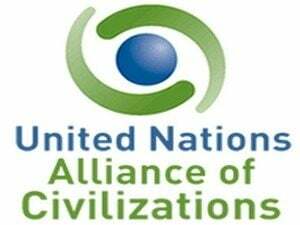 4) You will also have to send us a position paper of the country you will simulate at C'MUN 2014. You can find guidelines for the position paper as well as the C'MUN instructional guide and rules of procedure at USEFUL INFO section. The deadline for position papers is March 31st. The registration fee for C'MUN 2014 is 100 EUROS (each delegate). Special discount for UNA-Spain members: 60 euros (each delegate). If you want to know how to become a member click here. (this only applies for Spanish citizens or Spanish residents). Please specify the name of the delegate or delegation in the transfer. Have in mind that the possible bank charge must be paid by you, it cannot be part of the transferred fee. Your application won’t be confirmed otherwise. If you are a member of UNA-Spain, don't forget to state your membership number on the application form. With our acceptance e-mail, you will also be confirmed to make the payment of the special discounted fee. We won't refund any fee after March 29th. If you want to become a member of UNA-Spain (remember this only applies for Spanish citizens or Spanish residents), and therefore benefit from the special discounted fee, tell us in the application form (other comments). Follow the aforementioned instructions available on the website to become a member. The situation of Middle East and North African countries (MENA) referring to acts of terrorism and their consequences continue to remind to Security Council the necessity to find a balance between an effective implementation of resolutions and concrete measures to prevent these acts and to adopt and integrated approach that protect human rights and respect the rule of law (taking into account allegations of human rights violations, received at OHCHR, in the counter-terrorism context). The official rejection of Saudi Arabia to seat at the Security Council has opened a debate at UN. Now, a new candidate has to be chosen, and voted upon, probably Jordan, by the General Assembly. The negative of Saudi Arabia, whom his U.N. ambassador, Abdullah al-Mouallimi called for “profound and comprehensive reform” that includes “abandoning the veto system or restricting its use”, becomes the latest example of the necessity to reopen a debate about the Security Council reform. Maybe the time has arrived to finally set an agenda and talk about the veto system, a more appropriate regional proportional representation, the inclusion of secretarial body and the institutionalization of the role the President and many other proposals that have been advanced in other to reform the body. According to the Article 12 of the Universal Declaration of Human Rights and Article 17 of the International Covenant on Civil and Political Rights no one shall be subjected to arbitrary interference with one's privacy, family, home or correspondence, and everyone has the right to the protection of the law against such interference or attacks. A few months ago, regarding Edward Snowden case, the UN High Commissioner for Human Rights, Navi Pillay, stressed the necessity “to protect persons disclosing information on matters that have implications for human rights, as well as the importance of ensuring respect for the right to privacy”. Snowden’s and other individual cases, supposedly against the national security of the State, illustrate the need to take concrete measures in order to protect and respect the right to privacy, the right to access to information and freedom of expression and/or the rights to take part in the public affairs. Snowden’s leaks had led Brazil and Germany to propose anti-spying agreement within U.N. It’s time to set the basic principles on how to balance these rights and the national security concerns. Violence against women and girls has been recognized as a form of discrimination and a human rights violation. States have obligations to take appropriate measures to prevent, prosecute all forms of, and protect women and girls from violence. Based on country data available , up to 70 per cent of women worldwide experience physical or sexual violence from men in their lifetime – the majority by husbands, intimate partners or someone they know, it is a problem of pandemic proportions. Violence comprises a wide range of acts – from verbal harassment and other forms of emotional abuse, to daily physical or sexual abuse and at the far end of the spectrum is femicide: the murder of a woman. Despite the considerable progress has been made on improving justices and service response for women, there has been little work done towards fulfilling the responsibility and obligation of the States in respect of prevention. So, it’s time to develop a complete strategy and an accountability mechanism to ensure their implementation. Corruption affects all countries. It attacks the foundation of democratic institutions by distorting electoral processes, perverting the rule of law and creating bureaucratic quagmires whose only reason for existing is the solicitation of bribes. One third of development aid never gets to its final destination because of corruption. The economic crisis and the increasing imbalances between the rich and the poor, are just highlighting the urgent need to take a stronger action against corruption. Society is voicing it, loud and clear: they are already fed up with it, ranking corruption as one of the top concerns on surveys. The United Nations Convention against Corruption (UNCAC) is the only legally binding universal anti-corruption instrument, and it's time that the States Parties to the UNCAC takes it seriously and set up an Action Plan with concrete measures to tackle the issue from all sides. Beyond the peacekeeping operations, reconciliation processes are essential to ensure a peaceful coexistence and respect for human rights in regions that have experienced a conflict that had divided its society. These conflicts, with many examples, both recent and near, can be a civil war, the transition from a dictatorship to the democracy, the proclamation of independence of a territory, or the activity of terrorist or paramilitary groups. In addition to the tasks of security and conflict prevention, disarmament and sustainable development, the dialogue between adversaries is essential for reconciliation, but it is not easy to agree on the preconditions for dialogue, or who the partners should be. The other factor of a controversy is the duty to clarify the truth of the facts and dispense justice accordingly, that on several occasions was chosen to be sacrificed passing amnesty laws. To do this, and according to the United Nations, the rule of law and the democratic institutions that respect and ensure respect for human rights and fundamental guarantees should be promoted. But this discourse is faced with the relativism of human rights (and the implicit democratic model) that is catching on in some sectors as societies become increasingly multicultural. Among these sectors there are those who reject both the Declaration of Human Rights and Democracy citing different cultural or religious values. During 2011, according to Eurostat, 3.2 million people migrated to one of the EU-27 Member States, while at least 2.3 million people emigrated and have left an EU-27 Member State. Furthermore, according to Human Rights Watch, more than 35,000 people have crossed from North Africa to Italy and Malta in 2012, many of them fleeing persecution or fighting in Somalia, Eritrea or Syria. While the actions and agreements of EU leaders are far to be reached the situation demands urgent actions. Tragedies like Lampedusa have brought into sharp focus the issue of migration again. The current context of the economic crisis is a breeding ground for racial, religious or ideological hatred; plus the rise of the extreme right parties in almost all european countries; the promotion of some policies of expulsion or denying access to basic services to migrants are clear examples for the urgent necessity to set the agenda about migrant situation. Despite all, only short term measures are planning to be defined and the longer term policy perspective talk’s, at the European Council, has been postponed until next June. You can join our simulation individually, in couples (2 delegates representing the same country in a commission) or in a delegation/group (representing a country in all the commissions where it is available, individually or in couples in each commission). This year, countries at the Security Council can be only represented individually. You CANNOT represent your home country. Kinshasa / Nat. Pedagog. Univ. Zimbabwe Kinshasa / Nat. Pedagog. Univ. • Training session on April 29th April morning. To attend any of these C'MUN 2014 you have to fill this questionnaire and send it to cmun@anue.org. Coming by plane? Get 15% Discounts! : Valid for IBERIA flights from 7 days before to 7 days after the conference. Click here to purchase. Coming by train? Get 30% Discounts! : Valid from 27 April to 4 May in all RENFE trains. Print this card and show it at Ticket offices, or follow this instructions to buy it online. Here you have some accommodation suggestions in youth hostels, and bed & breakfast in Barcelona.